Did cut-and-sew projects make their way onto your 2019 resewlutions list? 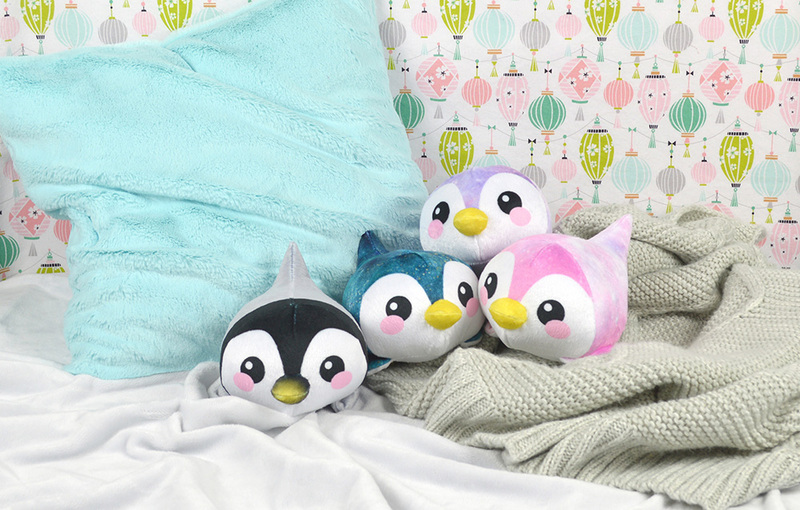 If so, you’re in for a treat because the expert of cute and cuddly cut-and-sews, Choly Knight, is stopping by the blog to share how to make the newest project added to her Spoonflower shop, a penguin plushie. 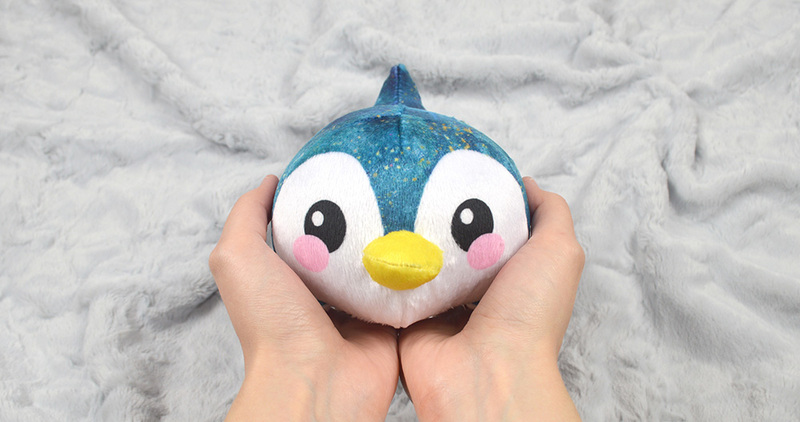 Choly’s plushie comes in four different colorways which means there’s four times the fun when you order the project on one yard of Minky! 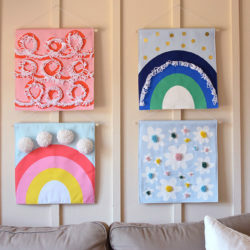 This giftable project is easier than you might think thanks to the simple sewing required but don’t take our word for it – give the project a try below. Choly: Hello any lovers of cute things out there! Being in the middle of winter I have the insatiable urge to surround myself with warm cuddly things. I’ve got cocoa and blankets checked off the list, so all that’s left is something cute to keep me company. 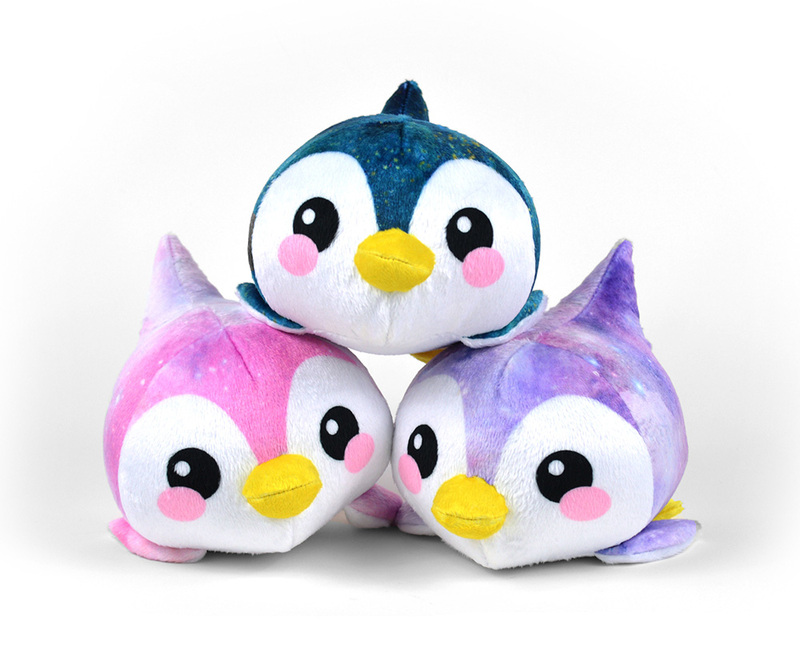 That’s where these tiny penguin plush toys come in! These little birdies aren’t fazed by the cold. They have sweet smiling eyes and a belly-down pose so they’re ready for any impromptu ice sliding. 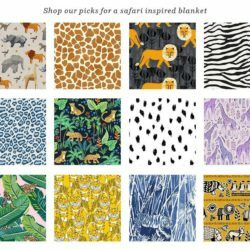 The hand-held size means they’re perfect for little ones to enjoy, but they’re just as comfortable lounging on a desk or couch as well. My designs tend to focus on projects that are a few notches above complete novice, so if you’d like to learn about darts, 3D shapes, and curved sewing, follow along! 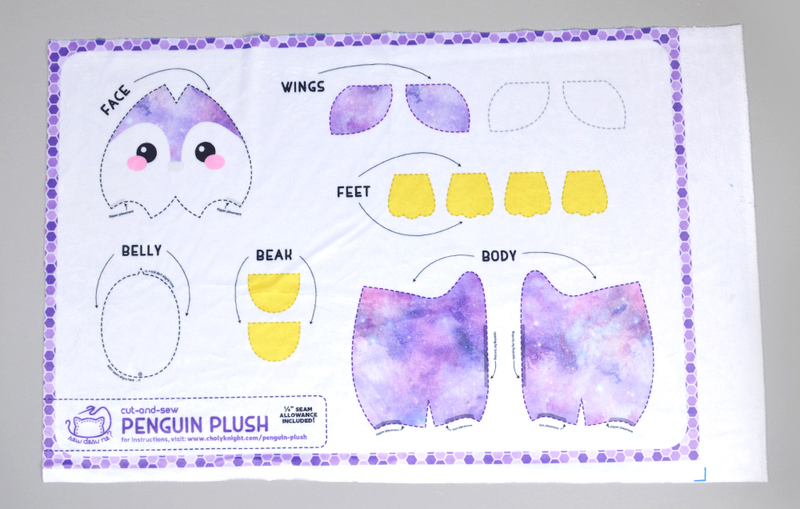 This cut & sew kit makes a penguin that’s about 4” tall, 5” wide, and 6” long. You don’t need a lot beyond the basics for this little baby! Some scissors, thread, and needles are a must. It’s not necessary to have a sewing machine, but it’s a big help. Lots of pins are good for holding slippery fabrics like Minky. A chopstick is nice for turning tiny and pointy fabric shapes. And of course you’ll need stuffing to bring your penguin to life! 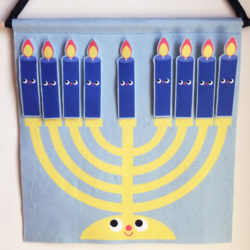 *Make four penguins with the one yard design or one penguin with the fat quarter design. Shop the penguin collection here. Begin by assessing your fabric. The project fits on a fat quarter of Fleece or Minky. I like these fabrics the best because they’re ultra fluffy and stretch just a little bit. The plush projects turn out round and squishy. The project has all the pieces labeled with extra notes for guidance. Seam allowances are already included, so just cut along the dotted line. Pro tip: When cutting out your pattern, cut out the labels and pin to the corresponding pattern pieces. Match up the white wing pieces with the colored ones. 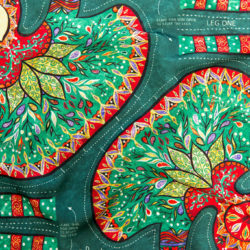 Sew them along the curved edges (¼” seam allowance), but leave the straight edges unsewn. Clip the corners and curves and turn the pieces right side out. Repeat with the feet and beak. The little triangular wedges you see on the face and body pieces are darts. Fold them along the point so the slanted lines match up. Then sew the darts by starting at the opening and curving into the folded edge. If you get a really smooth transition, your finished plush face will look nice and round! Baste the feet to the body so they don’t get lost in future steps. The body has a little colored band along the edge that shows where to place each foot. Next, sew the two body pieces together along the tail edge. Make sure to leave a 2″-3″ opening to turn the whole penguin right side out in a later step. Here’s where things get a little tricky. The edge of the body (without the darts) is sewn around the top edge of the face. You’ll know you have things right if the body seam matches up with the top dart on the face. Use lots of pins here to help get the curve just right. When you’re done, you should have the whole top part of the body! This leaves a spot to baste the wings right beside the feet from before. Keep the white side facing up so it matches the belly later. This is the trickiest part, but also one of the last steps. You’re nearly there! The open edge of the body is sewn all around this oval. To keep things aligned right, the face dart should match up with the tiny triangle notch on the belly piece. The back seam matches up with the circle marking. Pin them together all the way around and sew along this oval. Turn your little penguin right side out and stuff it through the opening in the back. Stuff it until it looks nice and round and there are no more wrinkles in the fabric. Once your penguin has achieved optimum pudginess, sew the opening closed with a ladder stitch (also known as a slip stitch or invisible stitch, depending on your sewing circles). Stuff the beak with a small amount of stuffing and then get a hand sewing needle ready. Sew a long running stitch around the opening of the beak and pull at the thread to cinch it up tight. Now you can place this over the face of your penguin. There’s a faint gray circle printed right on the fabric to help you place it. Ladder stitch the beak to the face and your penguin is complete and ready for snuggles! Choly Knight is a sewist, designer, and lover of all things kawaii. Her goal is to help others learn skills that will fill the world with more creativity, leading to a cute global takeover. 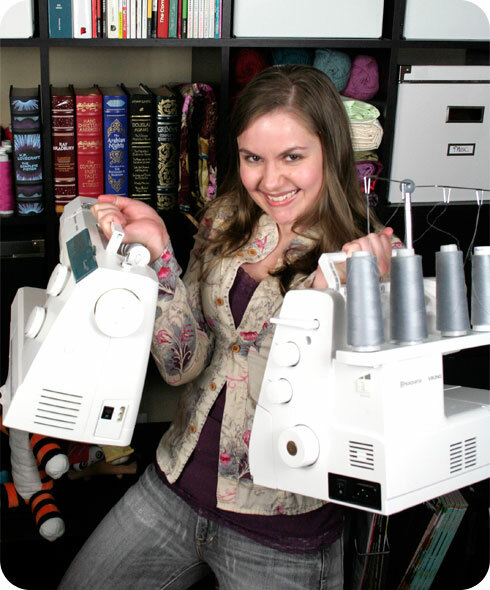 She shares free tutorials and sewing patterns on her main blog, cholyknight.com. See more of Choly’s work over on her Instagram feed. 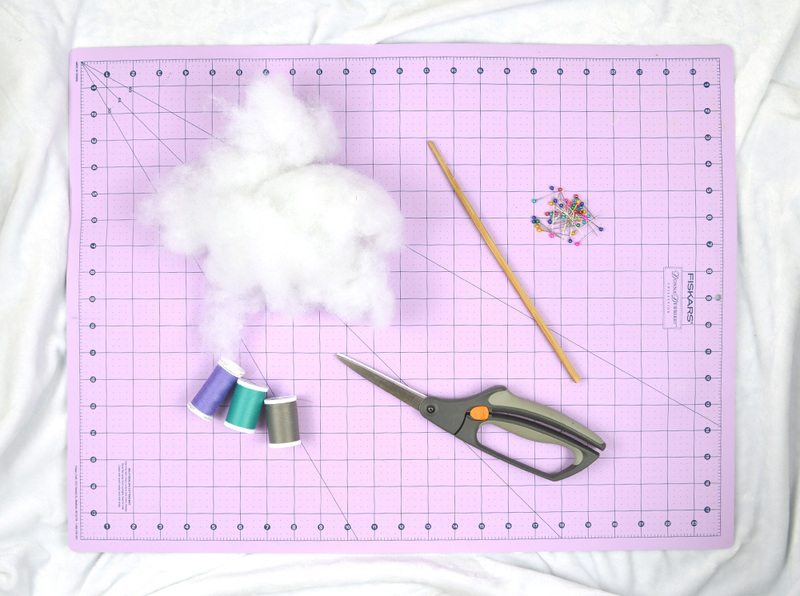 « Meet Maker Ashley Fryer of LoveBird Sewing Co.